A reminder this wasn’t a good day for music in 1980. But it wasn’t always that way. As each year passes we get further and further away from that defining moment when we all learned, with shock and disbelief, that John Lennon had been murdered. There are a lot more people around now who were not around then, and for an increasing number of them the name rings maybe only a distant bell, and not the coming-of-age one many of us knew. 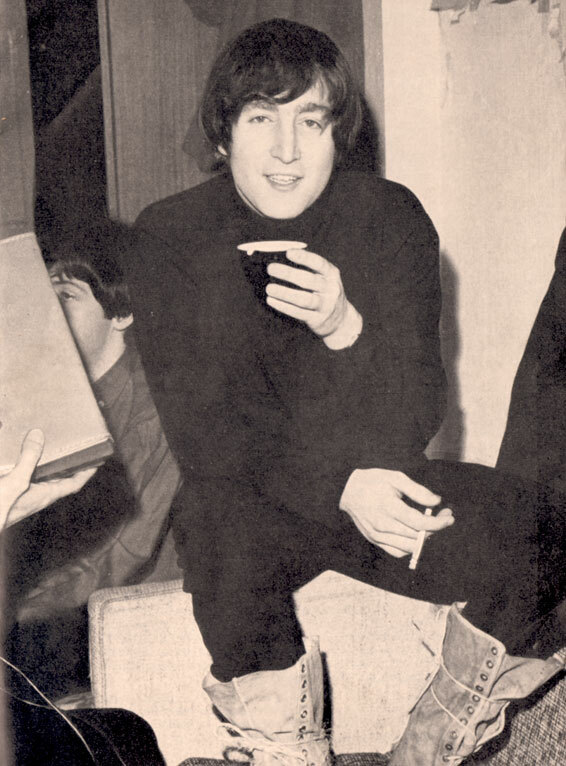 But John Lennon was part of our lives, growing up and being teenagers in the 60s. To us, Lennon was like the consumate Older Brother; the one who you looked up to, to tell you how things really were and who you could trust to steer you in the direction where all things were possible, because he had been there and done that and knew the score. So I confess I haven’t really played much Beatles or John Lennon since that December 8-9 in 1980. Haven’t really wanted to. Music for me has always been a touchstone, the glue that links impressions, the conveyor of feelings and emotions. Time was, I would play a Beatles album and run through an entire catalog of senses and experiences associated with any given song. Today, I hear something and it is merely sad. But that’s just me and I’ll get over it someday – maybe. So as a way of reminder and tribute, I’m running an interview done in 1965 with the BBC on the occasion of the release of A Spaniard In The Works. Lennon talking about Lennon, and the world was a very different place. Rupertgate Tuesday – Piers Morgan Testifies . . .More Or Less. Rupertgate Tuesday – Piers Morgan Testifies . . .More Or Less..
Not unlike the wind-driven snow, it would seem.